The story behind our bakery La Patisserie Franacis begins with Alice Nguyen; who grew up in a small mountain town of Dat Lat, Vietnam in 1961. As the third generation of family bakers, Alice began her cooking journey in Annecy, France. There she developed the love of cooking and french pastry making. Alice was fortunate to enroll into culinary school. There she crafted her passion of pastry and culinary cooking skills. 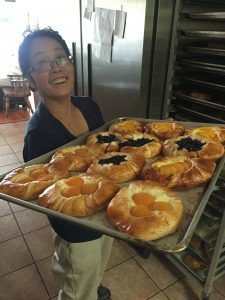 With the help of her extended family, Alice was fortunate to open a small bakery in the United States to help spread her passion for cooking into a business. Alice decided to move to the US to open a small bakery in the heart of downtown Hayward serving fresh-baked goods. Alice is known in the Hayward area as the only French bakery with authentic croissants, cakes, and desserts. Alice incorporates French style cooking into all her products with low sodium and low sugar. All her products are widely fan favorite with the local community. Even dietetic customers can enjoy Alice’s desserts as she makes all her baked goods with the intentions of healthy eating. Alice has developed a local celebrity known around the community as a caring and passionate baker. She incorporates a variety of different French styles into baking. 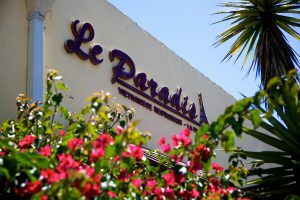 During special French holidays, Alice prepares unique desserts and pastries uncommonly found around the surrounding Hayward area.